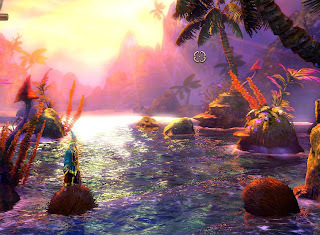 In this list I’ve decided to pick what I thought were the best stages of Trine and Trine 2. Trine series in essence are 2D sidescrolling, platforming adventure games, which can particularly boast with their amazing visuals, music, and fun physics and puzzle elements. And hence these were mostly what I considered as factors for deciding my favourite stages between the two games. Now with the expansion for Trine 2 coming out very soon, I wonder how the newly introduced stages would fare in comparison to these ones. Although very similar to the two levels preceding it, this is quite a good stage as it balances out well between puzzle solving and fighting goblins. It takes place in a jungle-like area, showing a nice sunset and then finally a night time, when the heroes reach the Petrified Tree. 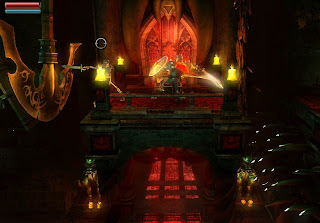 As a result this level gives a bit of a transition from all cheery fantasy feel to a more dark and spooky one that comes with the level after it. The name pretty much says it all. This stage happens inside a cave which is full of crystals, some of which break off from the ceiling and drop where our heroes pass by. This level has a nice slow pace to it, allowing for a bit of exploration under the water and other places. There is a very fitting lovely music track playing in the background too (I’ll be saying this a lot). 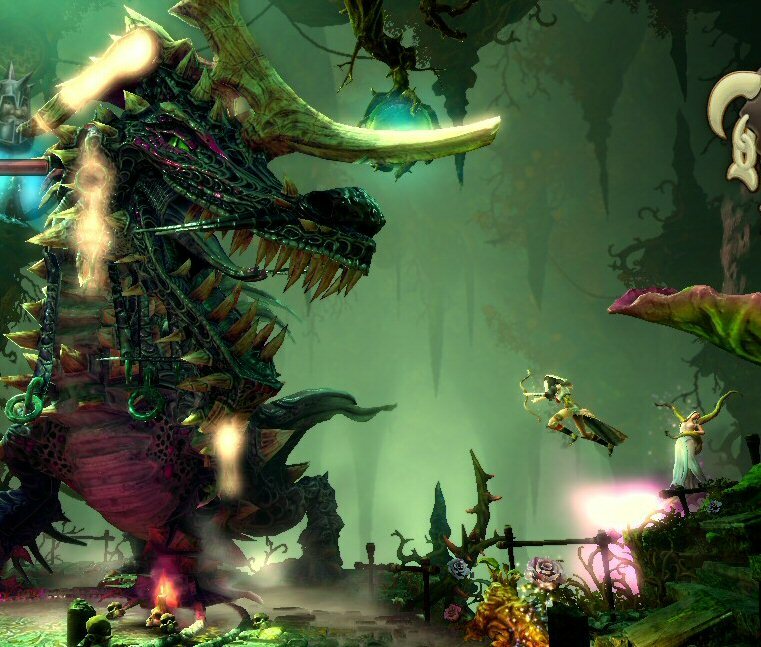 The first level in Trine 2, not counting the tutorial, Forlorn Wilderness tries to introduce a bit of everything, giving us tasters of things to come in the game, whether it’s the stunning locations, funny dialogues between the heroes, the first appearance of goblins (the most common enemy in the game), different puzzle elements, and also the oversized creatures, one of which acts as the level boss. This place is pretty much an abandoned village at night. There is nobody there except for the undead, big spiders, and an occasional flock of bats. This stage has somewhat of an offbeat sense to it, maybe because of the choice of music, or maybe because of those awesome Ferris wheels which act as obstacles to the heroes but also as fun places to toy around with the enemies. Whatever the case, this is a lovely transitional level between one tricky stage and an even harder one that follows up. Finally out of the nasty Hushing Grove, we find ourselves in an absolutely gorgeous cave full of greenery and all sorts of life forms. In fact it does not even feel like a cave, because it’s very bright and beautiful in it. I’d probably combine this entry with the level that follows this one, Mushroom Murk, as they have virtually the same kinds of backgrounds, music, and the latter level is also very short (they could’ve easily been combined into one whole level, I think). 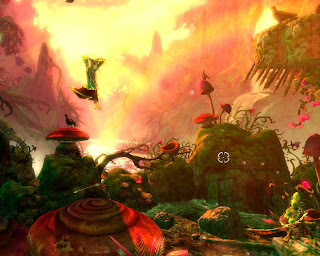 Mushroom Cave effectively gives you a sense as if you’re in a paradise of some kind, making it easily one of the best levels in the game. Not so much a stage as just the final boss fight against a dragon. This fight is done very well. The dragon is coming literally out of the background and attempts to chomp down on the heroes and to scorch them with flames. All three characters are useful in this fight and there is an overall sense of epic finale to the game, especially with that dramatic music playing on the background. With that kind of music playing, anyone would wish they could fight a real dragon right at that moment. Now this is a castle which has been completely taken over by the undead. This level is at around halfway through the first game and features a lot of different traps and other obstacles, noticeably more than on any level prior to it. It’s got a very bright, thematic red colour and a very epic music track, what to me marks it as a great mid-game climax point. 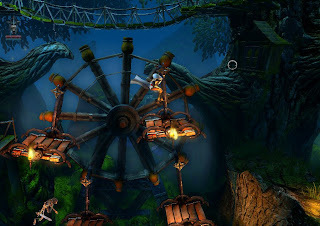 Some of the most common obstacles in this level are massive, spinning gears and also giant axes which swing from the ceiling. The first game overall is impressive visually, and this stage is when the visuals reach their peak, I think. 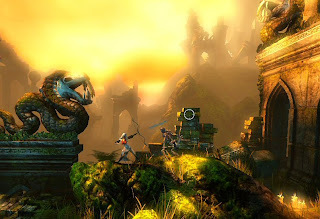 It takes place in the site of the ancient ruins, which look absolutely gorgeous, with a gentle morning light seeping through the trees and in between various gaps, and also lovely backdrops of early morning landscapes. With all that beauty, one would easily wish they could be there adventuring with the protagonists. 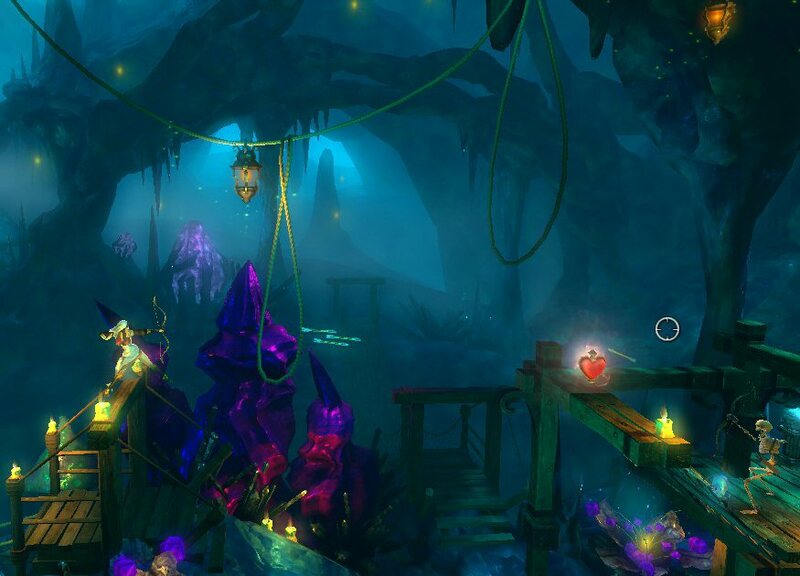 This, in my opinion, is the most visually beautiful level of Trine 2. Searock Castle is exactly as the name suggest – it’s a castle right on the beach, showing a stunning sunset and incredibly lifelike water ripple effects. The level has a nice balance of different puzzles and some unique elements thrown in, such as jumping on platforms which are moved by a giant octopus, as well as using big coconuts to cross bodies of water and avoiding oversized crabs. The music track that plays in this level is also one of my top favourites from the whole game, giving a relaxing, serene atmosphere to an already visually beautiful level. The level ends with a pretty cool boss fight against a goblin king. 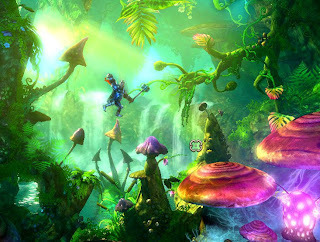 To me this is the best stage in Trine 2. 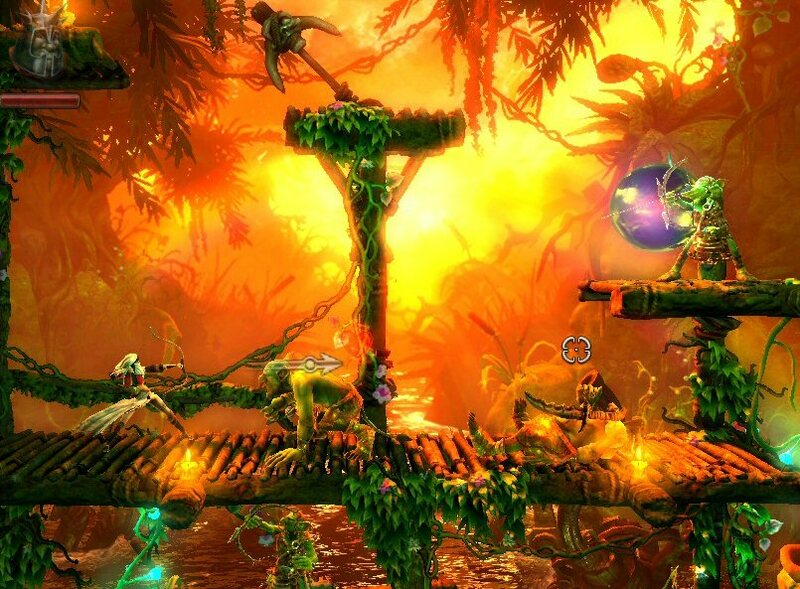 The original Trine has a solid start, but the first couple of levels mostly take place indoors, in particular in the tunnels and hallways. There isn’t much to gawk at in them. 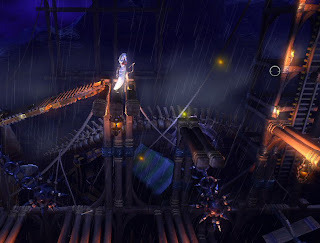 And then, all of a sudden, this level happens and we’re outside, enjoying the scenery of draconian bones lying peacefully, moody weather, golden autumn trees, and what appears to be newly built strongholds of the undead, whilst listening to a fantastic music track and knocking the skellies off the platforms on which they stand. This is simply speaking an amazing stage in every way.